The restaurant with a heart featured on goodneighborstories.com in August, Common Table, is officially open for business. The Bend, OR., eatery opened to customers last month, but yesterday was its official grand opening. 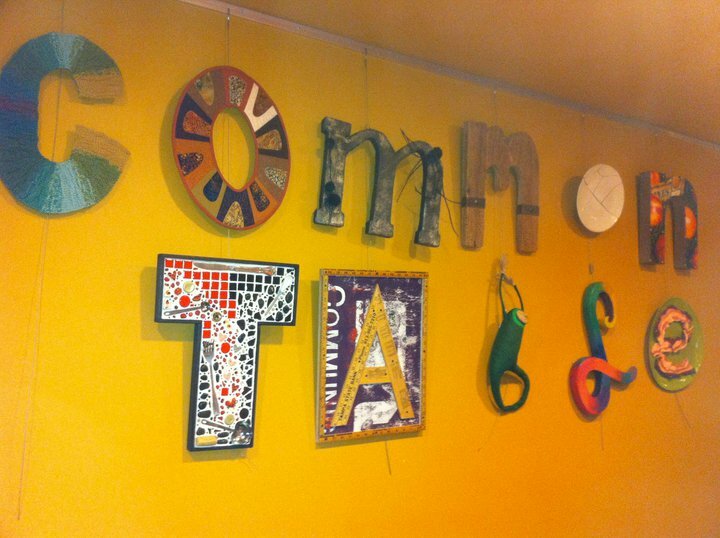 Local Bend, OR., artists created each letter for Common Table's sign inside the restaurant. The motto of Common Table is “Eat good. 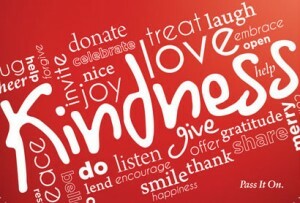 Do good. Make good happen.” The business model is to create and sell healthy, farm-to-table, sustainable food, and turn the profits back into the community by feeding homeless and hungry people. Customers can purchase wooden tokens that can then be distributed to anyone who needs a good, free meal. Common Table also has “pay what you want/can” days, when customers can pay any amount for what’s on that day’s menu. And organizers are mostly volunteers, to cut down on staffing costs. I follow Common Table on Facebook, and I have to say I wish I lived close enough to Bend to savor some of the delicious-sounding soups and main dishes that have been on the menu recently. The evening programs have also sounded interesting. One of the goals of the restaurant is to provide a place for the community to meet, by hosting talks and gatherings on a regular basis. If you live up in Central Oregon, or are ever passing through, make sure you drop into Common Table for some good eats. 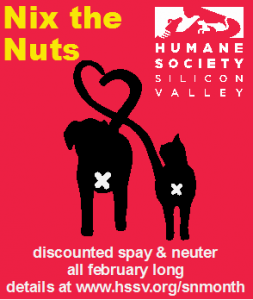 Using a very to-the-point message—"Nix the Nuts"—the Humane Society Silicon Valley (HSSV) is partnering with ..
Love this! If I am ever near there, I hope I can stop by.